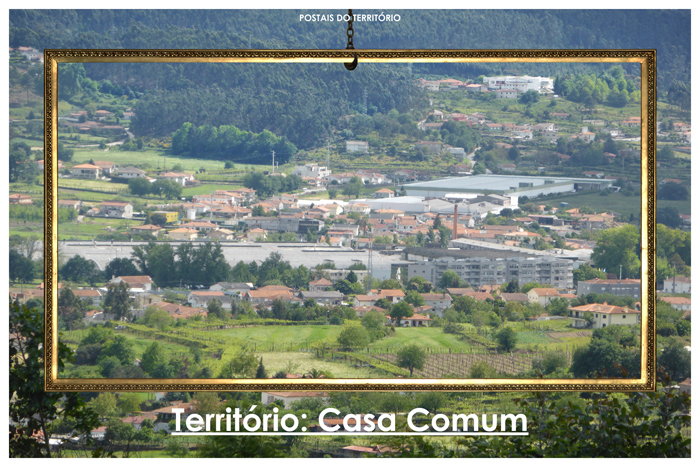 The research group Territory Dynamics and Morphologies of Centre for Studies in Architecture and Urbanism (CEAU) of FAUP will present the exhibition 'Território: Casa Comum' at Vila Nova de Famalicão, in partnership with the Municipality of the City. The opening of the exhibition will take plane on July 9 (Thursday), 10 a.m. at Casa do Território, in Vila Nova de Famalicão, within the local City Celebration. The exhibition will be presented until February 29, 2016, at Casa do Território, Tueday to Thursday, from 9:30-1:00 pm and 2:00-5:30 pm, Saturdays, Sundays and Hollidays from 2:30-6:30 pm. "Understanding the territory implies knowing it, and, above all, it implies inventing it. To invent reality is a requirement without which it remains opaque and indistinct, difficult to perceive what is really important for collective decision-making, and what might be in the reach of our actions. These are the matters that show the territory essentially as a political issue and, therefore, subject of debate and deliberation. The territory is not something predetermined or stable. An idea of territory is something to be progressively built through a set of readings, representations, speeches and debates collectively produced around what is acknowledged as something common and that gives sense to reality. The House of the Territory welcomes these ways of seeing, experiences and essays on the "territorialization of reality", making its many forms explicit. Making territory visible is a condition to make it public, to organize a particular view of a world and expose it to the judgment of others. Without this, society remains invisible and the territory, an abstraction. If we wish the territory we inhabit to be understood and dwelled as a common home - as a realm of life and relationship of the social group living there - then, this home should be the result of the collective construction of a common imagery and shared projects on what we are as a society, and on the things and places we can and should share. A house under construction."